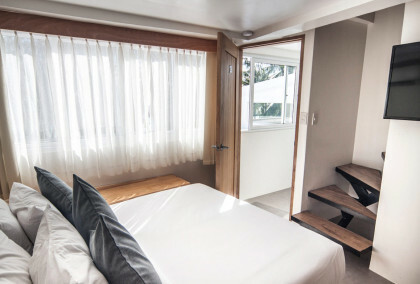 A modern contemporary air-conditioned room with custom-sized bed and sensor-memory mattress, 39″ LED cable TV, mini-ref, safety deposit, hot & cold shower and a complimentary wifi internet access. A modern contemporary air-conditioned room with balcony. queen sized bed with senso-memory mattress, 39″ LED cable TV, mini-ref, safety deposit, hot & cold shower and a complimentary wifi internet access. 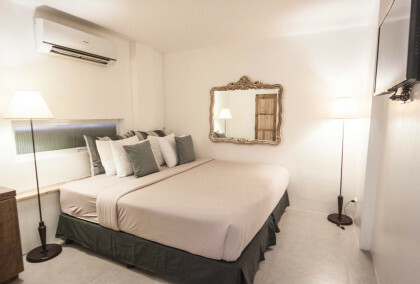 Spacious air-conditioned room with balcony, king-sized bed with Senso-memory mattress, 39″ LED cable TV, mini-ref, safety deposit, hot & cold shower and a complimentary wifi internet access. 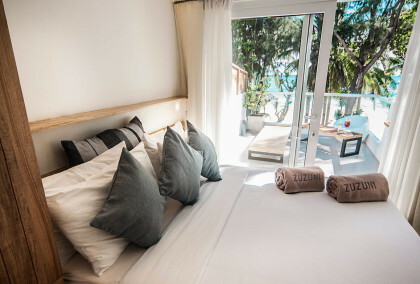 A relaxing 2 bedrooms air-conditioned room with queen-sized bed, senso-memory mattress, 39″ LED cable TV, mini-ref, safety deposit, hot & cold shower and a complimentary wifi internet access. There is quiet luxury in not having to share your living space with a hundred other guests. And this is the kind of luxury that Zuzuni Boutique Hotel offers. A prime beachfront fourteen-room boutique hotel and restaurant in world-famous Boracay Island, Zuzuni is more than just a place. Rather, it is the quintessential Boracay experience. Our kind of service is highly personal yet very professional. It is intimate yet never intrusive. Staying at Zuzuni feels more like being welcomed to a private home, albeit one with the service ethic of a first class hotel. Our boutique hotel, bringing a tailor-fit and quality experience, lies on the tail-end of Boracay’s Station 1 where you are a few steps away from everything: convenience shops, bars, restaurants, water sports activities, D Mall and be at one of the best spots to view the spectacular sunsets while enjoying refreshing drinks during happy hour. Aside from this, our restaurant, La Cozina brings a Latino vibe to the island with its exciting dishes and fresh flavours. 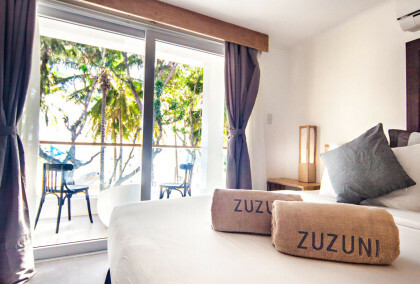 At Zuzuni Boutique Hotel, you are sure to experience and savor Boracay’s little pleasures. © 2019 Copyright by Zuzuni Boutique Hotel. All rights reserved.